This small book packs big wisdom on how to see the beauty in life despite the challenges. An inspirational book, suitable for aunties, mothers, grandmas, daughters, uncles, fathers, grandpas, sons….wide range. But better leave the kiddos out on this one; too boring. Alice Hoffman has published twenty-one novels, three books of short fiction, and eight books for children and young adults. Her books have been published in more than twenty translations and more than one hundred foreign editions. Her novels, many of which have been New York Tiimes bestsellers, have received mention as notable books of the year by the New York Times, Entertainment Weekly, the Los Angeles Times, Library Journal, and People magazine. 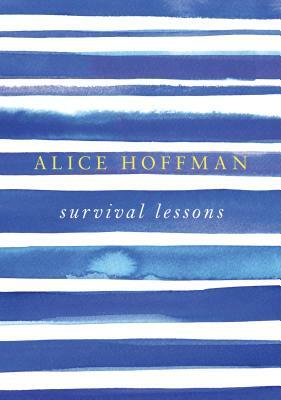 Alice’s advance from Survival Lessons will be donated to the Hoffman Breast Center at Mount Auburn Hospital in Cambridge, Massachusetts.